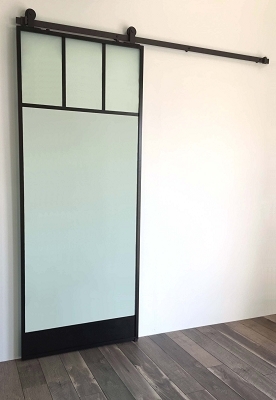 This beautiful 8 window thin black framed barn door is the perfect accent to any interior, whether it be a rustic farmhouse or a new modern masterpiece. 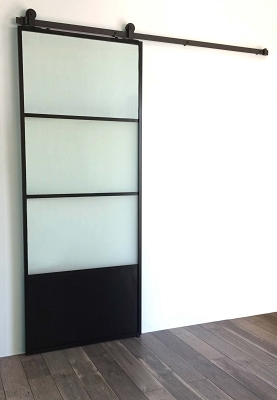 If you are looking for a glass barn door with a black steel frame look, you have found it! 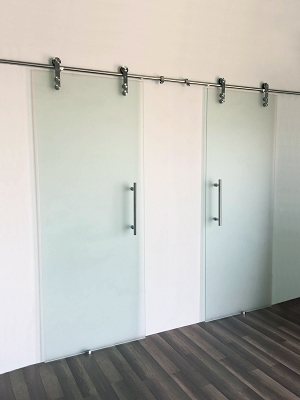 Each door is made to your exact required size, with either clear or frosted glass. 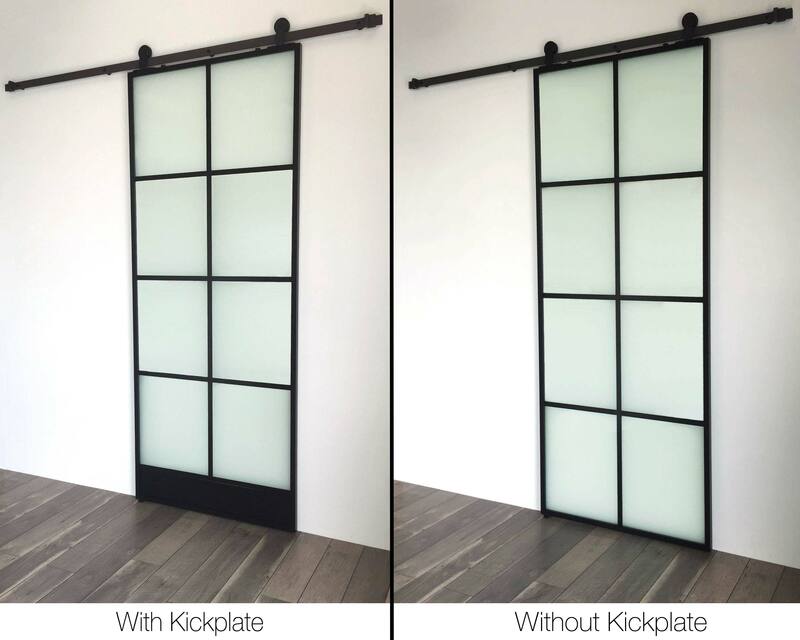 This door is constructed of our solid aluminum extruded frame that is 1in wide by 1-1/4" thick, finished in black with our extra durable powder coat. 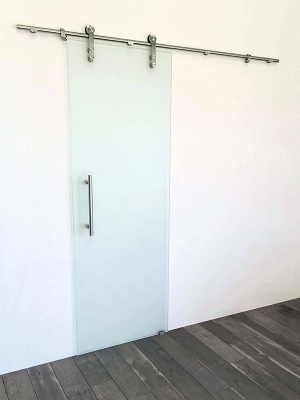 Our highest quality glass is a full 1/4" thick and tempered (clear) or laminated (frosted) for your safety. 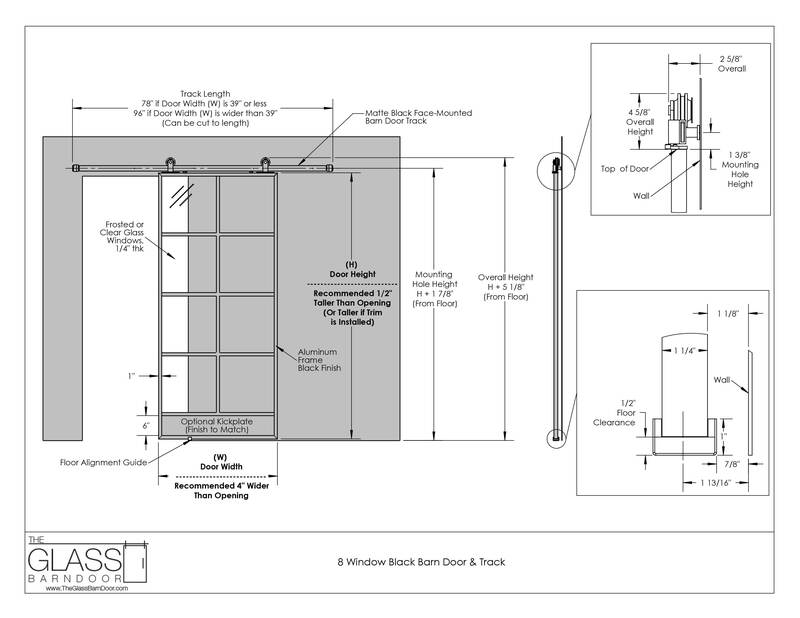 An optional black steel kickplate is available, if desired... we think it adds the perfect touch! 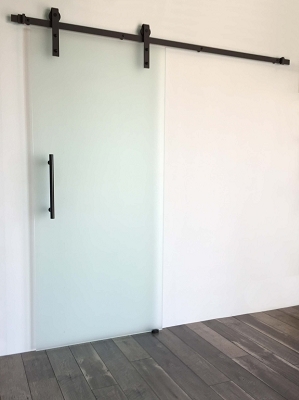 Each door is attached to an industrial black steel track system. 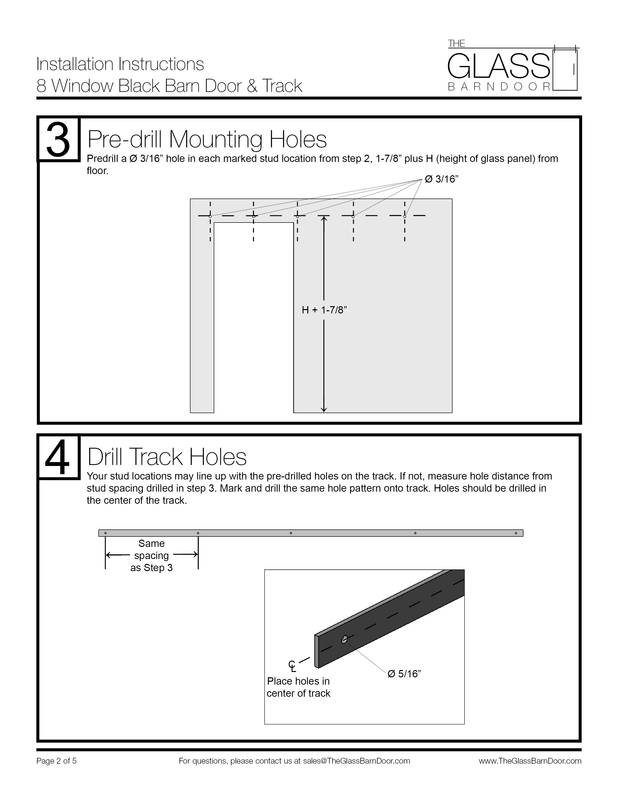 The wall mounted track features a 1.5in tall by .25in thick industrial black steel track (98" long) that can be cut to length if desired shorter. 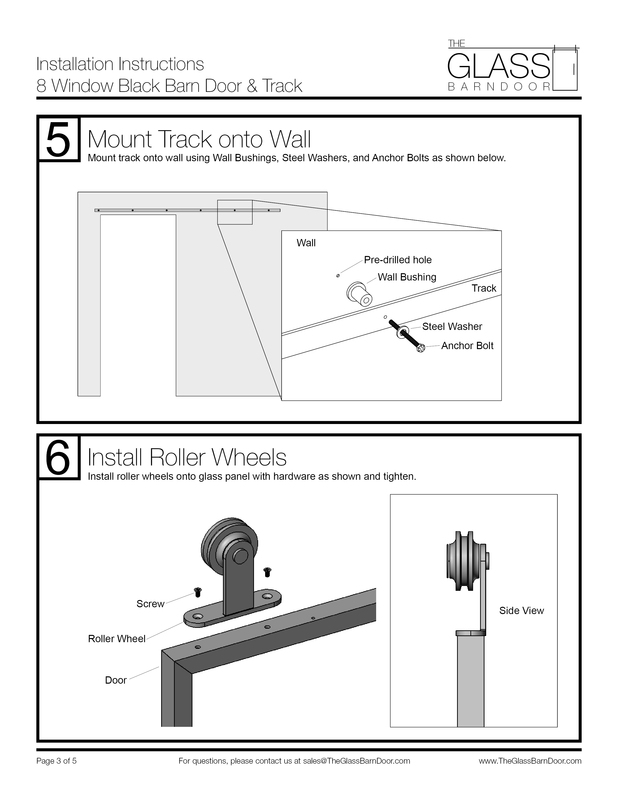 Precision-made oversized black steel roller wheels ensure the smoothest roll possible. 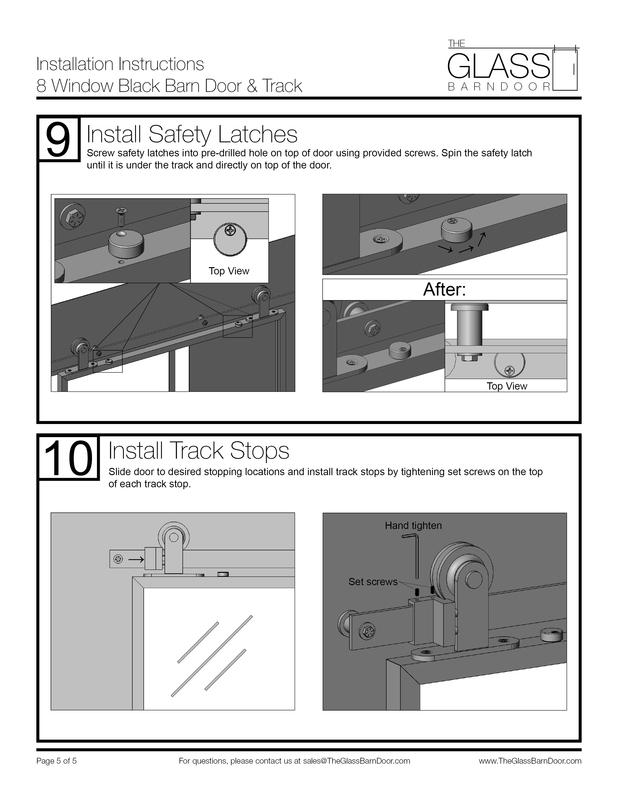 Adjustable door stops are provided and can be placed at any length along the rod to stop the door from rolling past a certain point. 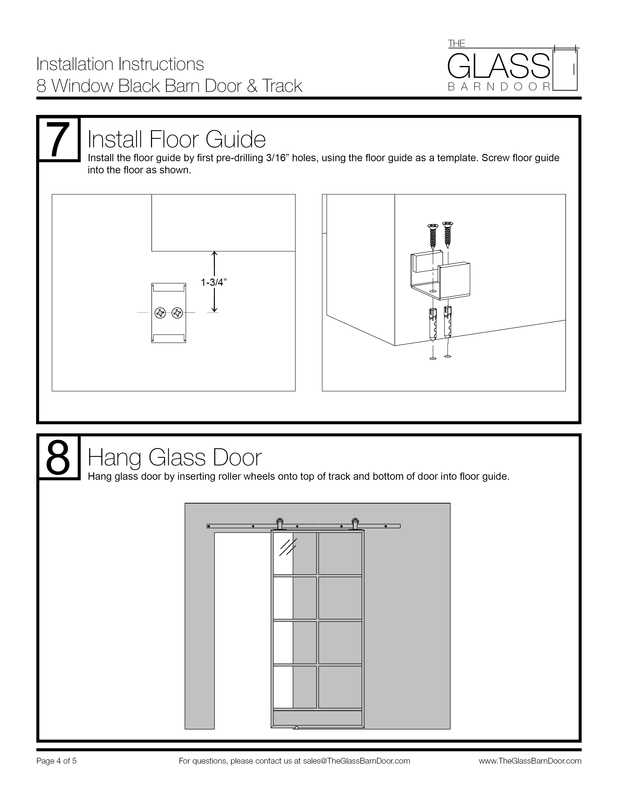 A small floor guide is also provided to keep the door aligned and prevent it from touching the wall. This was the final touch to our kitchen remodel from our foyer entry and we love it. Thank you so much! We added one also to our living opening as well because they look so good and compliment each other so well together in the hallway. They roll so smooth and look so great. Love them!!! 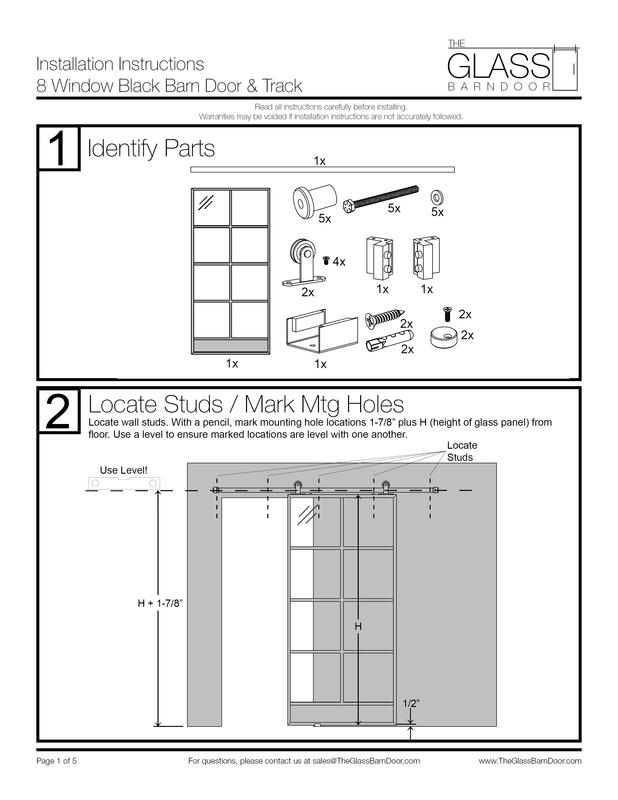 I could not be happier with this door. This is tabsolutely an amazing door. It’s so beautiful, slides so nicely on the track, and the quality is top notch. It was definitely a bit pricey, but worth it! At first I thought it was a bit odd that there was no handle, but I really haven’t had a need for one. It’s a heavy door too, love it!